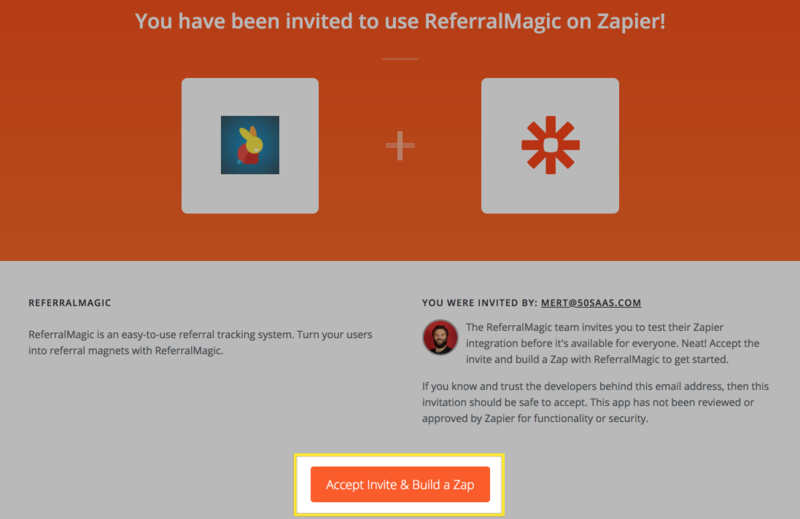 Zapier integration allows you to integrate your ReferralMagic with more than 1000 third party services. You can send and retrieve data between your ReferralMagic and third party service accounts. On the next step, you can build your Zap between ReferralMagic and more than a thousand third party services. If you need help on Zapier integration, feel free to get in touch with us. We will be happy to assist.